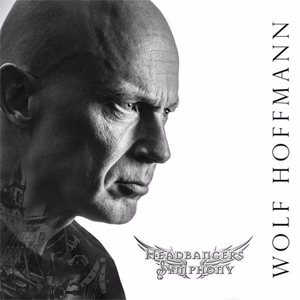 Guitarist Wolf Hoffmann's penchant for injecting classical melodies into ACCEPT's music is a well-documented part of metal history, with "Metal Heart" the most obvious example. On Headbangers Symphony (the follow-up to 1997's aptly-titled Classical), he continues his concept of fully reinterpreting a broad cross-section of generally well-known classical pieces as guitar-based instrumentals. This album is not structured in quite the same way as many recordings in the genre by artists such as Yngwie Malmsteen, Vinnie Moore and Tony MacAlpine. Specifically, many of the original compositions (as well as some of their interpretations of the classics) by the aforementioned utilize a verse/bridge/chorus format with a set of themes that repeat much like a standard vocal song - and feature a distinct solo section that allows for the introduction of new melodies ("shredding" in the common parlance). What Wolf does differently in this context is to set up the main themes (adapted into and expanded upon as guitar riffs) and then interject a fair amount of soloing between them. This approach showcases the guitar as the lead instrument, similar to a violin in an orchestra (more to come on this point) playing the main melody and then engaging in an extended improvisation. When the solos connect by virtue of their memorable structure and excecution, they come across as a worthy expansion of the key ideas. Another important component of these "metalized" classical pieces is that the metal/rock instrumentation employed (guitar, bass and drums) is complemented by prominent (but not overbearing) symphonic arrangements. These were recorded by the Czech National Symphony Orchestra in Prague under the direction of Wolf and his musical collaborator on this project, Italian musican and arranger Melo Mafali. Various other musicians, producers and arrangers contributed their time and talents, but the two most recognizable names are ACCEPT bandmate Peter Baltes (bass on several tracks) and producer Andy Sneap (mixing). Headbangers Symphony kicks off with the heavy and melodic "Scherzo" from Ludwig v. Beethoven's "9th Symphony" - where many listeners might recognize the main riff from the ACCEPT track "Teutonic Terror". Wolf himself explains it best: "When we started working on the songs for the Blood Of The Nations album, I played the classical demos to our producer Andy Sneap. He liked that riff a lot and insisted on using it for the album. So we wrote "Teutonic Terror" using this 'borrowed' riff." Another standout is "Night On Bald Mountain", and the official video is a great way to get an aural, visual and visceral feel for what this album is all about. Both of these tracks illustrate that the disc works best when it is at its most grandiose and bombastic; the more aggressive, darker compositions just seem to translate well to this format. Another solid example in this vein is "Pathétique", which offers a purely orchestral introduction that moves into a particularly tight and effective arrangement. Other noteworthy cuts are the highly recognizable pieces (although none are particularly obscure), including "Adagio", "Symphony No. 40" and "Air On The G String"; there is definitely something here that even the most die-hard metalhead will find familiar. Also, lest one think that this is a one-dimensional affair, the album also includes several more reflective, contemplative or romantic tracks (Ballads, for lack of a better term?) including "Je Crois Entendre Encore", "Adagio", "Madame Butterfly" and "Meditation". Several of these interpretations offer a more laid-back, blues rock approach to the lead guitar (reminiscent of the SCORPIONS) that provides some contrast to the more concise solos that are firmly rooted in the neoclassical style elsewhere on the disc. At its core, Headbangers Symphony is a well-produced collection of classical melodies presented as big chunky metal guitar riffs and solos with orchestral accompaniment in a band setting. Is it a bit more challenging listen than your average metal record? Yes. And even if there are a few spots where it doesn't quite hit the mark as well as others, the fact remains that it is a refreshing, varied, engaging and rewarding departure when compared to a lot of the past and current symphonic and prog metal that tries to combines similar elements. Overall, Headbangers Symphony is a praiseworthy and ambitious undertaking that was assembled in such a way as to make it accessible to fans of metal, instrumental/neoclassical guitar - and even open-minded classical music aficionados who can appreciate an ambitious reimagining of these beloved and time-tested compositions. Grab your copy of Headbangers Symphony in the KNAC.COM More Store right HERE.